This is a very nice Bally Silverball Mania pinball machine. 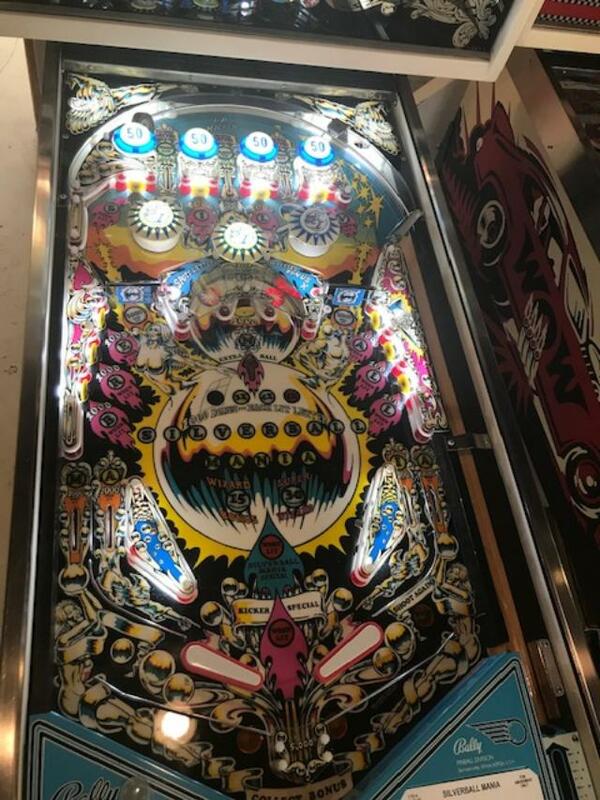 It is known as one of the fastest playing of the early Bally solid state games, and features a ball kicker that returns the ball to you if you have drained. But the ball kicker is only activated mainly by scoring the center horseshoe. It also features a stunning mirrored backglass, that is one of the most memorable from this era.